On Wednesday, I posted a blog with some Teacher Interview Questions I have experienced in the process of job hunting. 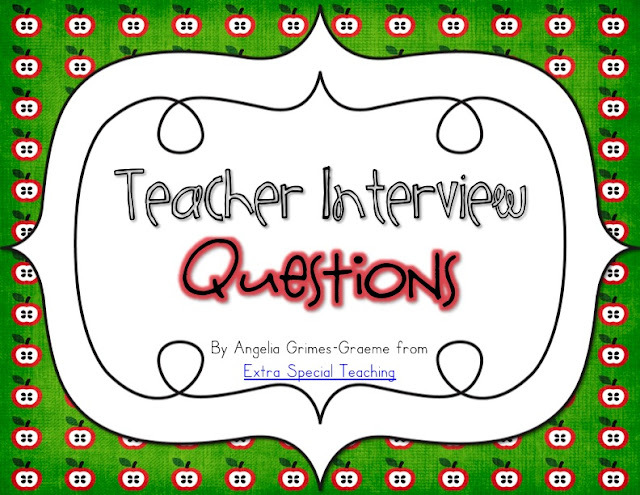 I was lucky enough on Friday to interview for a special ed position here in Hawaii. I don't know if a job offer will be coming, but at least it gives me more experience interviewing. 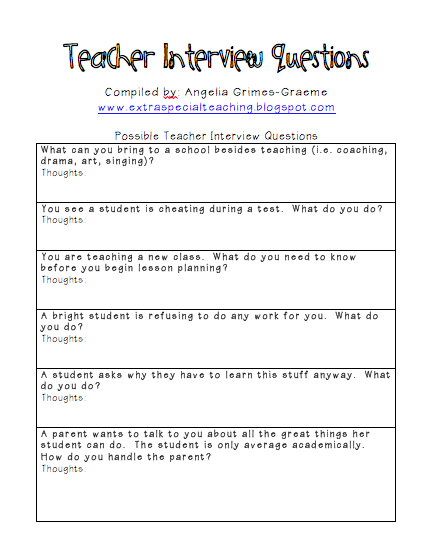 Click on the picture to check out my original post and see my updated questions. Ok, I have to say I had so much fun making this unit. 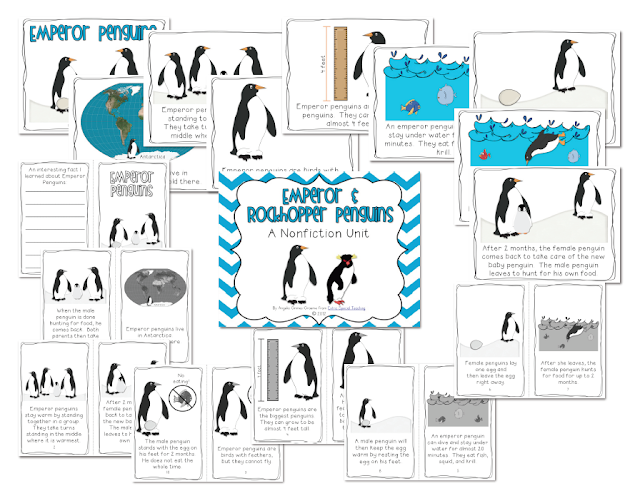 I especially liked making the books for each penguin. I really wish we weren't in temporary lodging without all of our belongings. I really want to print the books off for my own kids. There's 2 different books. 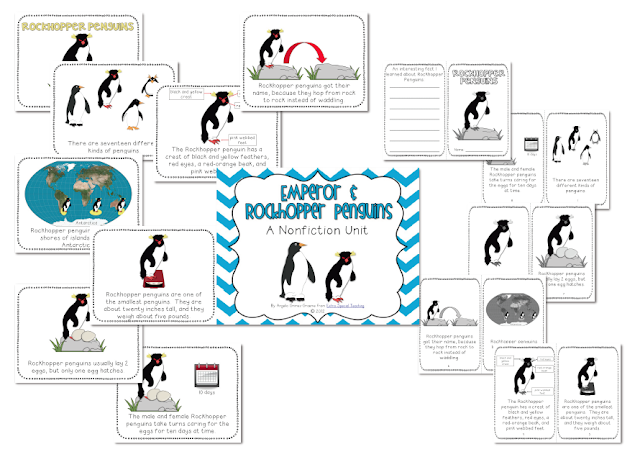 One for Emperor Penguins and one for Rockhopper Penguins. 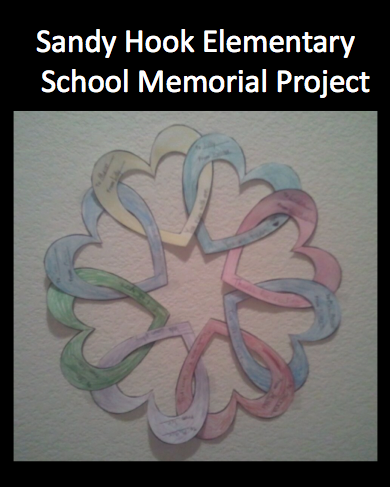 Both books are in a full, color version and a student black and white version. 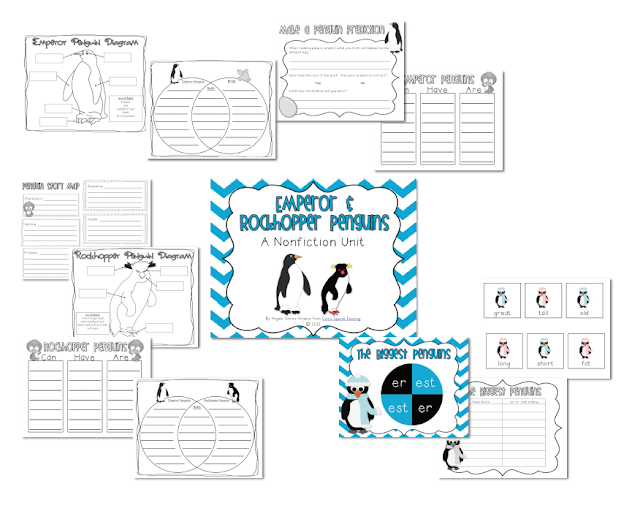 Plus, you'll find labeling sheets, Venn diagrams, brace maps, story map, and a center activity. 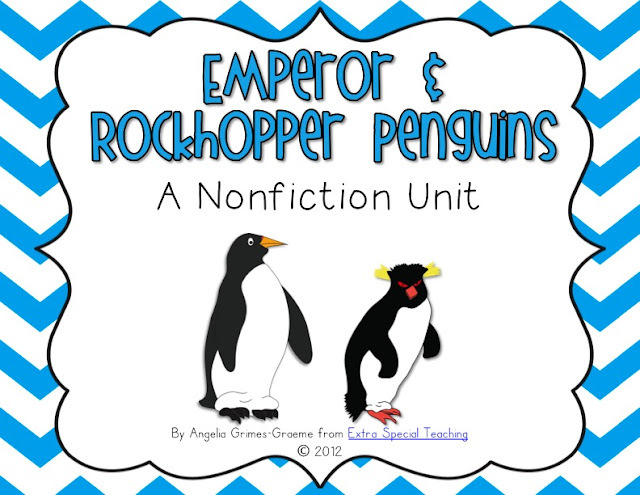 Click on the pics to see the unit in my TPT store. 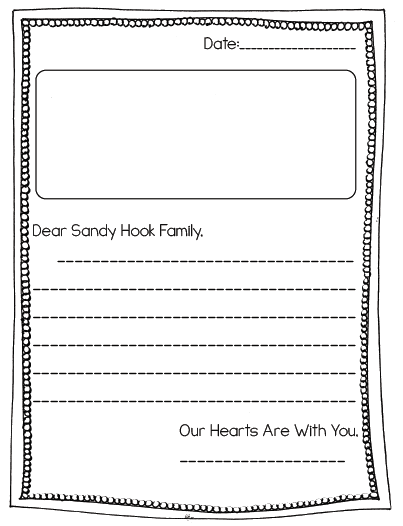 My heart aches for those in Connecticut today. 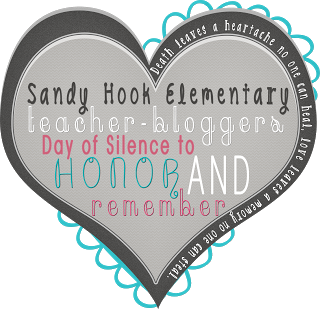 I cannot begin to imagine the pain the families, friends, coworkers, loved ones, and students are feeling today. My thoughts are with them all. Aloha, everyone! This is my first post from beautiful Hawaii! Wednesday was a looooonnnggg day, but we all made it here. 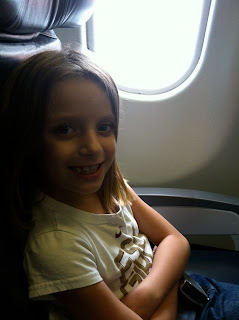 We got up at 4am (EST), so we could head to the Atlanta airport and get on our way. Luckily, our kids had this early delivery from the North Pole before we left. Yes, I know it's crooked but the internet is crazy slow here. So I'm leaving it as is. Santa was kind enough to bring them their own Ninetendo DS in hopes that it would help keep the adults sane during all this moving. It sure did help keep them busy at the airport. I was also smart enough to pack a power strip so that we could keep everything plugged in! We needed to save that battery for the long plane trip! The kids actually did pretty good on the 10 hour plane ride from Atlanta to Honolulu. 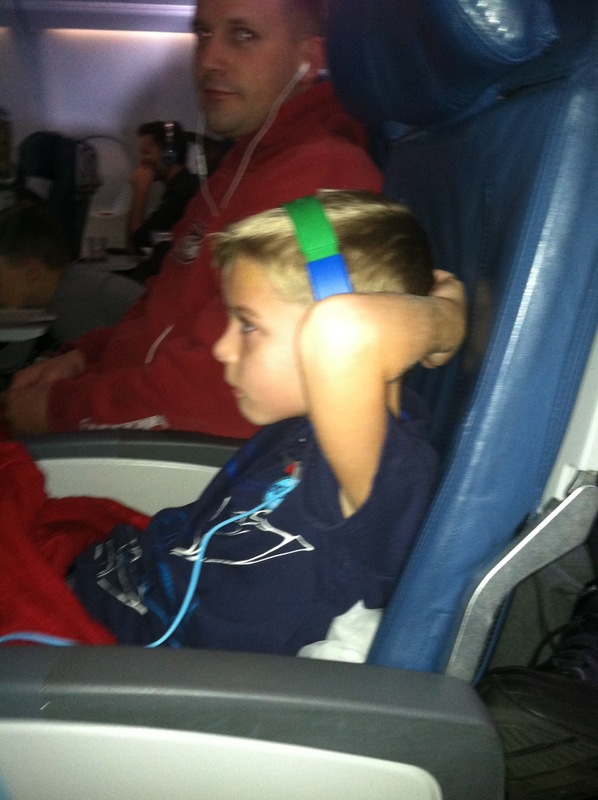 The great movie selection kept them very occupied! Can you believe none of them slept on the plane? When we landed in Honolulu, it was 3:50 p.m. However, back in Atlanta, it was 8:50 p.m. We had to get our luggage, get picked up by our ride, drive through traffic, get checked into our temporary lodging on the Marine Corps base, pick up our rental car, and run to the store for a few groceries to get us through the next day. Needless to say, by the end of the night (Hawaiian time), my kids looked more like this. 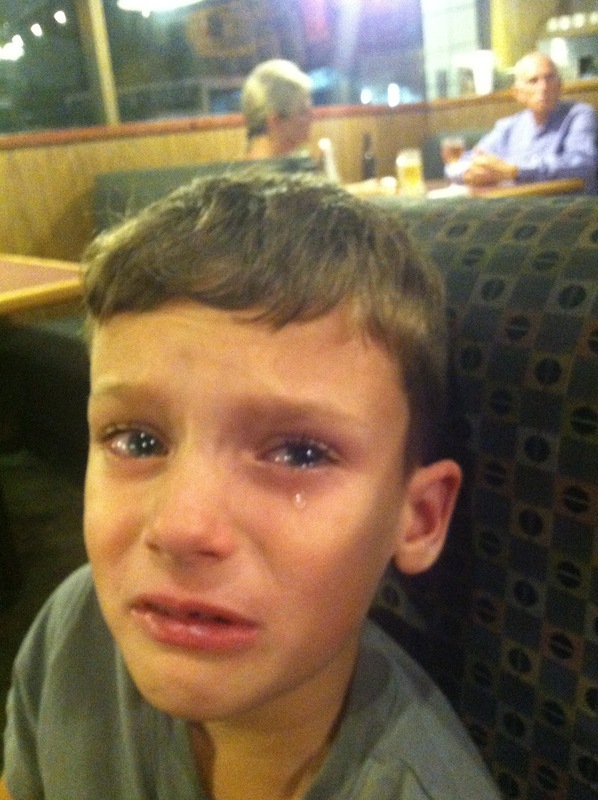 Poor Brody (the one crying) even said, "I don't want to move to Hawaii anymore." Luckily, he changed his mind this morning. How could he not when we look out the back door and see this. Everything is soooo green! We haven't been able to do much yet, but I'm ready to explore this weekend. My husband has been busy checking into his new command. I'm trying to keep the kids occupied in temporary lodging and finishing up a new penguin unit (coming soon!). We're in a state of limbo right now, but I know it will all come together. I have an interview with the Department of Education scheduled for next Monday. I'm excited to get this first step in finding a job done! I've been talking about it for about 7 months now, and it's officially happening. We're about to make the big move to Hawaii in less than 2 weeks. Yikes! It's come up quick. 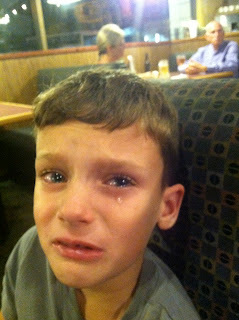 Last Wednesday, I told my students that I was moving and Friday was my last day with them. They were sad but talking about Hawaii really helped distract them. I broke out a globe, so we could look at where Hawaii is and see how far it is from Florida. We talked about why my family was moving (my husband is a Marine), how we would get there, how all our stuff would get there, and most importantly how my dog would get there. To give them a visual, I drew this fine piece of artwork on my chalkboard (does anyone else actually still have a chalkboard?). 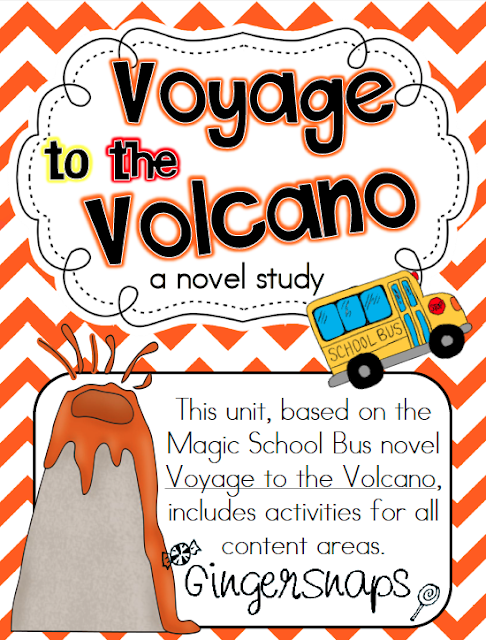 We spent the last few days learning about Hawaii, islands, and volcanos. 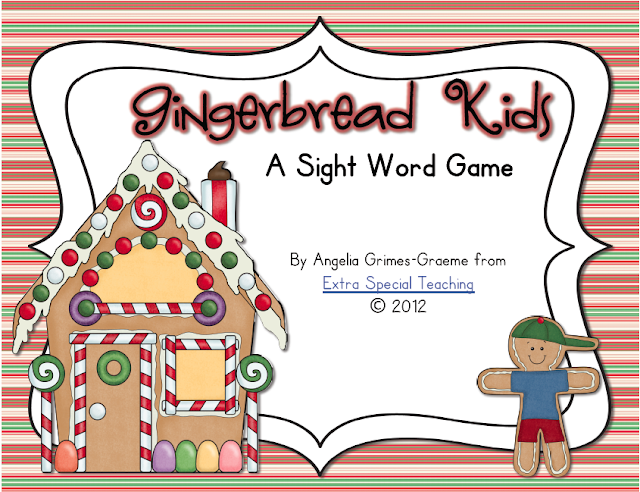 During the big Cyber Monday sale on TPT, I bought this awesome unit from Ginger Snaps. I was super proud of myself for not crying on Friday, but I did get teary-eyed. The other teachers were super kind to me, and it just broke my heart to leave a school I love. It really feels like a family there, and I don't know if another school will be this great. 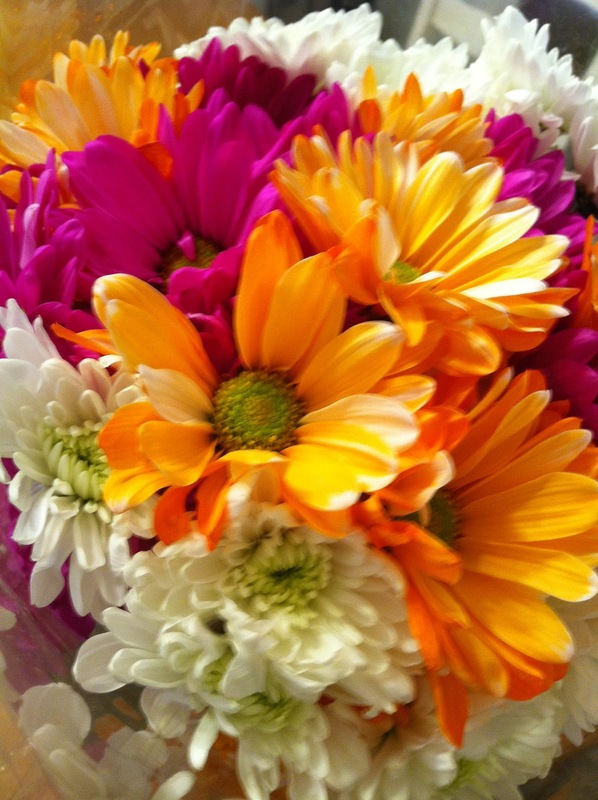 I felt so loved when my students and teacher friends brought me cards, flowers, and gift cards. I mean how sweet is that? 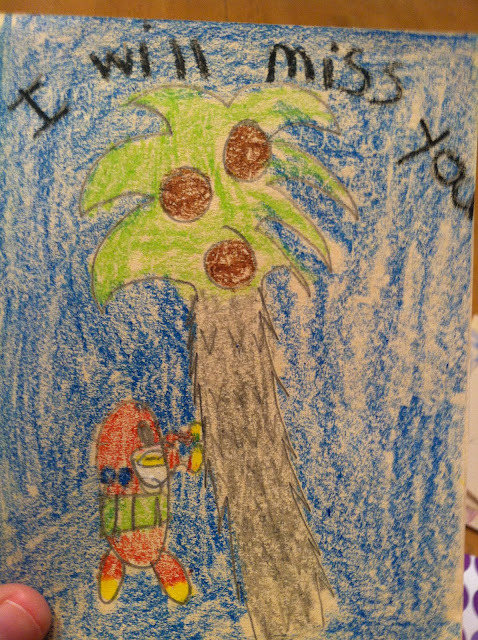 Here are some of my favorite cards from students. My husband and I worked all week on emptying my classroom. This is how I left it on Friday. I will say standing here in this pretty empty classroom was probably the saddest part for me. I have LOVED this classroom. I have spent so many hours in there and really felt like this was my space. Leaving was really tough. LOL, I made sure the desks were clean for the new teacher and they're still wet in the picture! Now all of my teacher stuff (Oh man, how did I collect all this stuff??) is piled up in the play room waiting on the movers to come on Wednesday. Closing this chapter in my life has been emotional, but I know great things await for my family after this move. I'm keeping my fingers crossed that there's a classroom waiting for me in Hawaii. I've already gotten my teaching license issued and the first required interview with the DOE scheduled. In the meantime, I'm hoping my husband and I can keep our sanity and get us all to Hawaii in one piece! Yes, I know that it's bad blog etiquette to post twice in one day but Oh Boy 4th Grade's December Currently is out! Yeah!! And I'm not even late this month! So the main focus in our lives right now is that we're moving to Hawaii in less than 2 weeks.....did you hear that.......less.than.2.weeks!! 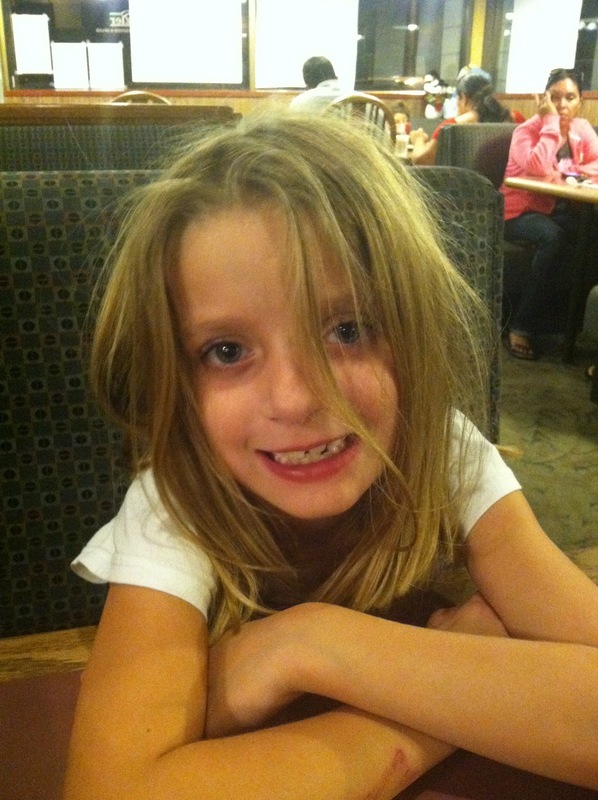 We've been overwhelmed and stressed for weeks. So much to do, so little time. Yesterday was my last day at work. Sad, very sad. :( More on that to come later. It's good I'm off work though, because there is sooooo much to be done! Yikes! We have movers coming in 4 days, so we have to get everything already for them. 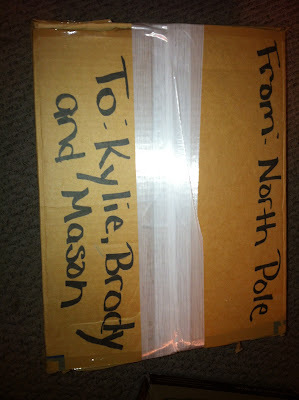 We have to get our car to New Orleans to ship there. We have to buy luggage! We have to set aside the stuff that will not go with the movers so that it can go in the luggage I haven't bought yet. We have to get the dog on a plane to fly there. We have to get school physicals and TB tests for the kids. Oh man, it's pretty overwhelming. I know it's going to be awesome when we get there.....but right now we're in overload central. Wish us luck that we can get everything done and get us, our stuff, our car, and dog all there in one piece! I'm so excited to link up with some great blogs who are giving away freebies! After all, it is the season of giving now that we're officially into December. Yikes, that means Christmas is coming soon! First, I'm linking up with Beth at Thinking of Teaching for her Sleigh Full of Goodies Blog Hop. 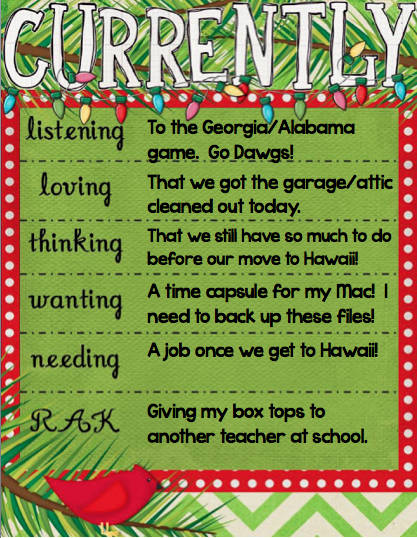 And, I'm linking up with Teaching My 3 for her Twelve Days of Teacher Freebies. 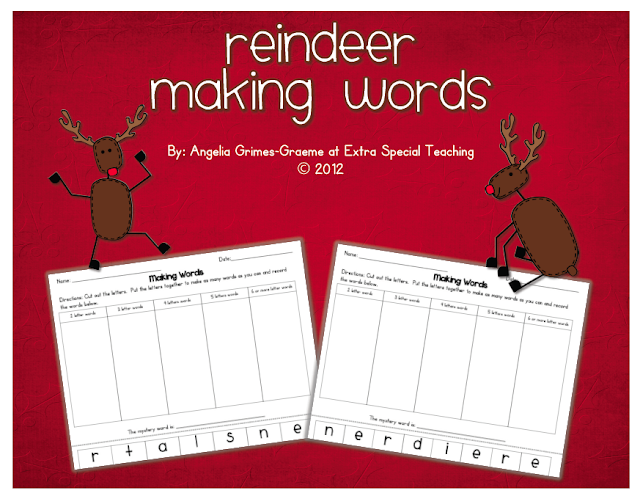 For my freebie, I'm giving away a Reindeer Making Words activity and a Gingerbread Kids Sight Word Game that you can download from my TPT store by clicking on the picture. 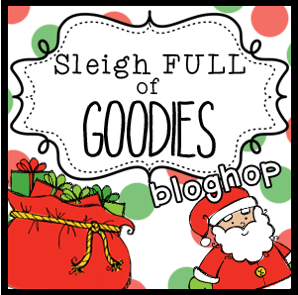 Don't forget to head back to Thinking of Teaching for Day 2 of the Sleigh Full of Goodies blog hop!